Honestly? I'm just tickled pink with myself here. These little cuties came out very much the way I imagined them, and I mastered a couple of techniques (intarsia, as well as actually finishing a stranded colorwork project - some Endpaper Mitts are languishing somewhere) in the process. Penelope gets all agitated whenever she sees them and crawls to where they have been sitting. I had to wait for the sun to finally come out yesterday to photograph them before letting her have them as her own. And Isobel wants her own set, too, or at least "the baby one, Mama", so I'll have to figure out another color combination. This pattern is for sale on Ravelry here. If you are interested in a copy and are not on Ravelry yet, what are you waiting for? 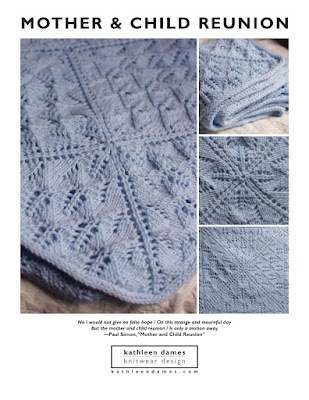 But while you're waiting, if you can't live without the pattern, please contact me at kathleendames at gmail dot com. They are so cute! You are becoming quite the designer, good for you. Love the pictures of the girls. Kathleen, I love your new design! Those are adorable! Great job designing - just queued!